Superdry men's Premium Ultimate Down parka jacket. 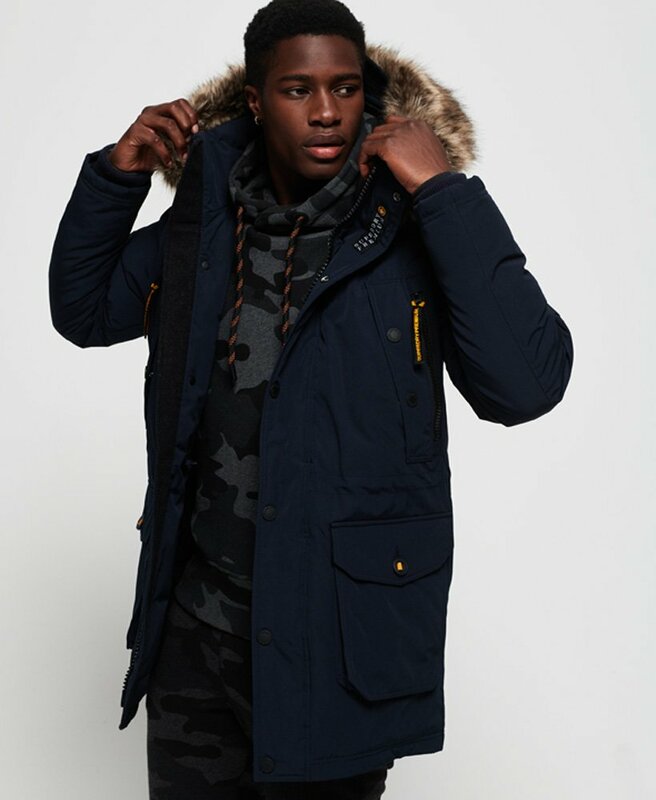 Inject some warmth into your wardrobe this season with the Premium Ultimate Down parka jacket, featuring a detachable hood with removable faux fur trim, popper and zip fastening, 90/10 premium duck down filling and a very high fill power rating. This jacket also features eight front pockets and one inside pockets, meaning you always have somewhere to keep your valuables safe. The Premium Ultimate Down jacket is completed with a Superdry logo badge on the sleeve and branded zip pulls.